Each year, Americans throw away about $165 billion worth of food, equaling about $2,000 per household. The amount of food people waste is a concern in central Ohio, just as it is across the country. Locally, nearly 13 percent of all waste that goes into the Franklin County Sanitary Landfill is food waste, things like rotten vegetables, expired products and half-eaten meals, among others. With the goal of reducing food waste in central Ohio, SWACO in September launched the Central Ohio Food Waste Initiative, convening about 40 organizations to collaborate on a food waste reduction plan. The group will work together to come up with ways to reduce the amount of food waste disposed of in the landfill through prevention, recovery and recycling opportunities. Participants in the initiative represent all facets of the food chain, including farmers, food producers, retailers, consumers, nonprofit organizations, government agencies and private sector companies. They’ll share their expertise, insights and knowledge in order to develop a community-wide action plan to reduce food waste and leverage it as a resource to benefit our environment. Food waste is an economic, social and environmental problem. But by reducing food waste, we can conserve natural resources, ease hunger around the world and protect the planet from global climate change. 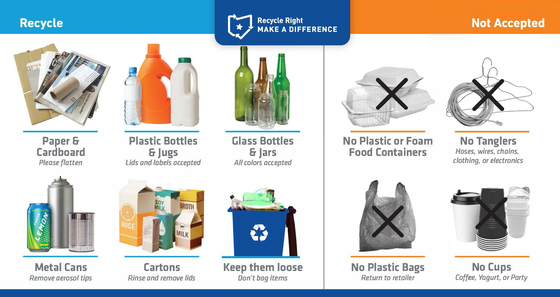 To learn more or follow the progress of the Central Ohio Food Waste Initiative, visit https://www.cofwi.com. • Only buy what you need. • Reuse leftovers. For example, if you have leftover turkey or ham, add it to a delicious soup. • Consider composting your unwanted vegetables, coffee grounds and food scraps. Visit our Compost at Home guide to learn how to get started. Franklin County residents are eligible to receive a rebate to purchase a compost bin by completing an online quiz or registering for a local workshop through the city of Columbus and Franklin Soil and Water Conservation District. Learn more about the Community Backyards Conservation Program here.